In this post we will explore pedalling (‘pedaling’ if you are American) technique for road cyclists. This is an important area. The meeting of foot and pedal is the primary interface between human and bicycle (well, primary moving interface – you wouldn’t get padded cycling shorts if there wasn’t a pretty significant ‘interface’ in that area as well). Good technique increases the efficiency with which the power that we generate is turned into forward movement. It also helps avoid injury, both by avoiding unnecessary strain on joints and ligaments and by promoting an even strengthening across the leg and core muscles. 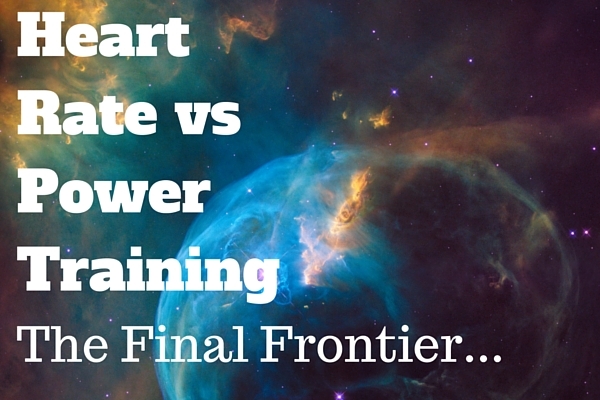 Training with Power vs. Heart Rate – Which is Best? Are you ready to bring your training to the next level? Of course you are. And to do that, you’ll want to know the difference between training by heart rate versus by power meter (you will!). Well look no further, I’m here to explain both, and help you decide which one (or both, or neither!) is best for you. Note from Monty: Yes, a note from me! For ’tis not me writing this post. ‘Tis Katelyn, a qualified cycling and (whisper it) triathlon coach, with the first post on Sportive Cyclist from a ‘staff writer’. With work and a recently-increased family peloton, I’m struggling to find time to publish articles for you good people. In order to keep you supplied with useful and entertaining blog posts, I’ve engaged a few cyclo-writers to help increase the frequency (and, lets face it, quality) of posting. I do hope you enjoy the broadened viewpoint that having a wider writing staff will have on the blog. If you have any article suggestions, or a cyclo-question you’d like answering on the blog, then let me know. Cyclists in general are a bunch of data nerds. While we certainly love the wind in our hair, sometimes it’s all about being King (or Queen) of the Mountain on Strava. And Kings and Queens know all about power. Read moreTraining with Power vs. Heart Rate – Which is Best? I have this sense that there is a secret to training that, if I crack it, will result in my becoming a stronger/faster/more stylish cyclist. If not instantly, then at least overnight. It is this inner inkling that prompts my fascination with power meters (“If only I had a power meter then a programme of effective training would be within my grasp…”). So i did it. Let the mini trumpets toot. I successfully achieved my objective of riding every single day for 35 days, from 28th December (last year!) until 31st January 2016. (Why 35 days? Cos I wanted 16.67% more challenge over last time). Rather than focus on the stats (which are… epic! ), I thought I’d outline some advice that might be helpful if you’re looking to get into into the swing of cycling on a regular basis, as well as some of the benefits I encountered. Whether you’re new to the sport, or coming back after a winter layoff, setting yourself a challenge can be the perfect way to build a cycling habit and kickstart an improvement in your fitness. My aim in writing this blog is to help and inspire you to ‘do more cycling’. After all, this website is all about you, dear reader (said the narcissist who publishes photos of himself in Lycra…). So why should you undertake your own ride-every-day challenge? Because there are benefits (with friends). Begin! … I’m still on track (for greatness). Quick catch up: in order to get back into the habit of cycling regularly, I’ve committed to riding every day until February. Since I started my challenge on 27th December (which is well-known to be an auspicious date), this means that I plan to ride my bike for 35 days in a row. The objective is to work my ‘habit muscle’ as much as it is to rebuild a little fitness. The 15 minute minimum time limit is set so low in order to make any excuse for not riding unacceptable. Which is an aspirational title for a blog post, if ever there was one. And I should probably be clear. This post will not contain the solution to all your time vs cycling vs motivation challenges (well, it might but I can’t guarantee it…). 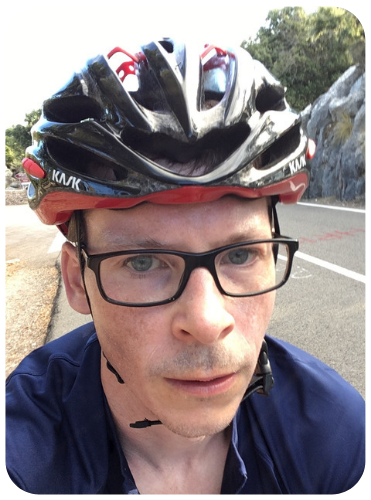 Essentially, as I’ve done before, I’m committing publicly on this blog to (re)build a cycling habit, with a view to kickstarting my cycling fitness for 2016. Last time, I successfully completed a (self-imposed) challenge to ride my bike every day for 30 days. This time, things are going to be bigger and better. I’m going to ride every day for…. (wait for it) 35 days! (Which is…. *wrangles calculator* …16.66% (recurring) more challenge). In this post, we’re going to get into the meat of producing your personalised cycling training programme. I’m going to set out a step-by-step methodology for building a structured training programme, with the aim of peaking your fitness for one or two target cycling events. By the end of the lesson (for want of a better word), you’ll have a 9 – 12 month overview (in a spreadsheet or on paper) of the series of training blocks that will take you to your target cycling event. Way back in the mists of time, I conducted a survey of Sportive Cyclist email subscribers, asking them for their biggest frustration with cycling. There were complaints about the state of British roads (and those of Azerbaijan) and the standard of cycling when riding as a group, but the main frustration was the lack of time to go cycling. This is understandable. We live busy lives. We have time-consuming jobs, family commitments, the new series of Strictly Come Dancing. Cycling can sometimes be pushed to the periphery. With worsening weather and shortening days, the periphery can sometimes disappear entirely. The purpose of this post is to explore the theme of lack of time for cycling, and some of the strategies that we can employ to address it. I have hit the big time. I have been sent a book to review. By a publisher. For free. The book in question is ‘Fast After 50: How To Race Strong For The Rest Of Your Life’ by friend-of-this-blog Joe Friel*. (*Joe Friel does not know he is a friend of this blog). 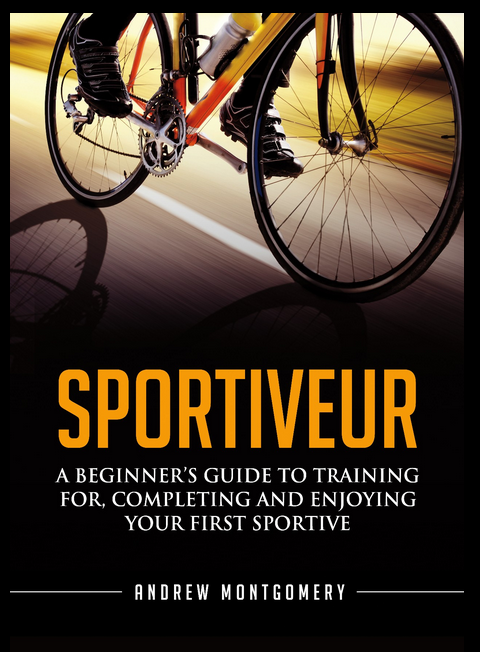 If I had to pick one book subject and title that would fit well with a large proportion of the Sportive Cyclist readership, it would be this one. Spoiler Alert: It’s good. You should buy it.